Your business' website is arguably the most important marketing piece in your company's overall business development strategy. It is almost always a potential customer or client's first introduction to your company. In fact, when you think about your website, consider the user experience as something as important as a potential customer visiting your office. So how do you decide your company's website is in need of a little revamp? Here are a few key components to consider for starters. One of the first things to consider is your current design. Firstly, consider if your website falls in line with current design standards, such as Google's newly minted "material design" trend, or the flat design trend that took hold in 2014; maybe your website layout is confusing potential clients and is actively preventing them from converting via a webform; or maybe the site architecture is so unorganized that Google has penalized you for lack of "crawlability." If the answer is yes to any of the above, then it may be time. Again, if a potential customer is on a website that feels old or is so disorganized that they can't contact you for your services, that poor user experience alone may lead potential customers to want to consider other options. Another clear sign that you may need a new online presence is when the site does not present well on phones and other mobile devices. Building websites to be "responsive" (i.e., the interface adjusts to the device user is on) is by no means a new method, but you would be surprised how many websites still don't adhere to the new mobile standard. As a B2B company ourselves, taking one look at our Google Analytics shows us that roughly 10 percent of our audience is on either a smartphone or tablet. 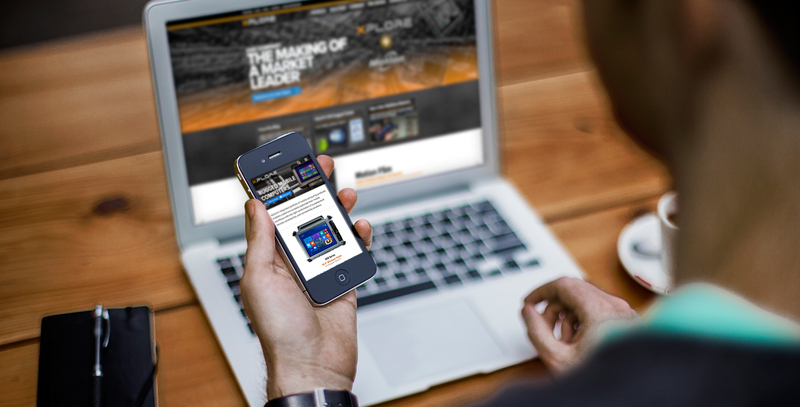 Without a responsive website, that would mean we'd be missing out on reaching 10 percent of our entire web audience. The number gets even larger when you're a B2C company. Not only that, but as of April 2015, Google has started to limit web presence and penalize websites based solely on their capacity to be mobile-friendly, further rerouting possible clients away from your website to competition who managed to keep their website responsive. A poor online experience for potential customers can not only have a trickle-down effect on someone's overall view of your business but will also undoubtedly shrink web traffic based on how mobile-friendly your website is. The last point you should consider is business efficiency. A quality website is one that is constantly being maintained, keeping up with development industry standards, has a speedy load time and is generating valuable content. We can't tell you how many times people come to us with issues of website updates taking way too long to happen due to red tape, a poorly implemented content management system or simply a lack of resources. A well-thought-out website should be built not only for your customers and potential customers but also for you to efficiently manage it through a capable content management system. This efficiency in site management frees up time for you or employees on your marketing team to focus on other, higher-priority deliverables, saving you on your bottom line. We're fueled by brilliant digital identities, smart strategic marketing, custom web design and a lot of caffeine. No, we're not actually masons; we are Masonry Interactive. We give your brand a more thoughtful, cohesive web presence. We're not just plug-and-play, either; we're collaborative, transparent and work with you as a team to curate the best online and physical marketing identity possible. We endeavor to be the ultimate team player. We give honest answers, reasonable timelines, prompt responses, total transparency and take you into consideration — always. Ross Brandon is the Digital Director at Masonry.